In a Compound Wound Generator, there are two sets of the field winding on each pole. One of them is connected in series having few turns of thick wire, and the other is connected in parallel having many turns of fine wire with the armature windings. In other words, the generator which has both shunt and series fields is called the compound wound generators. If the magnetic flux produced by the series winding assists the flux produced by the shunt winding, then the machine is said to be cumulative compounded. If the series field flux opposes the shunt field flux, then the machine is called the differentially compounded. It is connected in two ways. One is a long shunt compound generator, and another is a short shunt compound generator. If the shunt field is connected in parallel with the armature alone then the machine is called the short compound generator. In long shunt compound generator, the shunt field is connected in series with the armature. The two types of generators are discussed below in details. In a long shunt wound generator, the shunt field winding is parallel with both armature and series field winding. The connection diagram of long shunt wound generator is shown below. In a Short Shunt Compound Wound Generator, the shunt field winding is connected in parallel with the armature winding only. The connection diagram of short shunt wound generator is shown below. In this type of DC generator, the field is produced by the shunt as well as series winding. 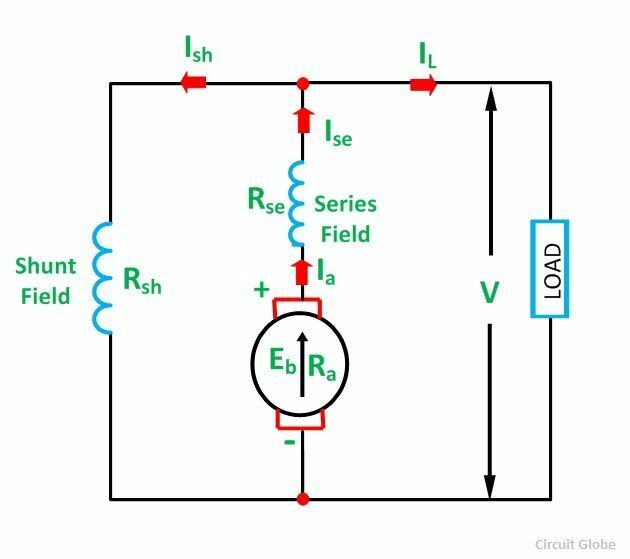 The shunt field is stronger than the series field. If the magnetic flux produced by the series winding assists the flux produced by the shunt field winding, the generator is said to be Cumulatively Compound Wound generator. 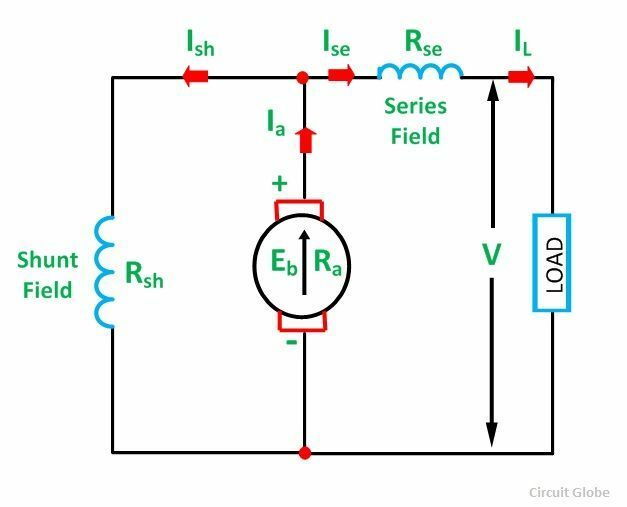 If the series field flux opposes the shunt field flux, the generator is said to be Differentially Compounded. What is Eg there ?